This is possibly Tubaria furfuracea found in Pembrey C Park on 9th March. Left in place to see in a few days. Further photos on 13th and collected on 17th when it seemed to have gills attaced to a collar (like Marasmius rotula). However there was very cold weather over these days and the ring pattern has occurred due to frost damage pulling the gills away from the stipe. At least this is what I think has happened ---- but an elegant effect! In the first pic. there is a faint annular zone on the stipe. 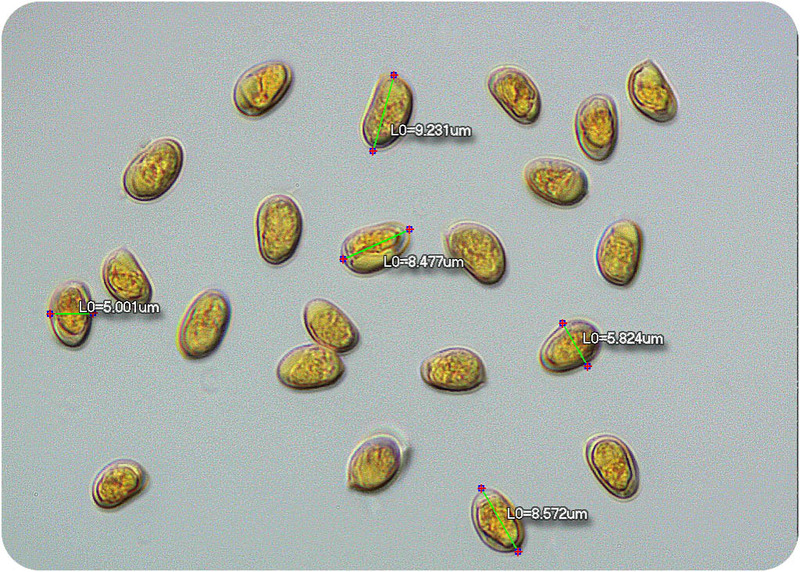 Colin did microscopy and spores would fit (shape and size) but cystidia at gill edge not looked at which would confirm. Colour of spore print --- ochre-brown would also fit. This was all on it's own but usually found grouped together. Thanks Stephanie ---- this is a very common 'LBJ' little brown job but I usually find groups rather than single fb's. It was the effect of frost causing gills to pull away from sripe that made this special.